Think of England and, most probably, London will be the very first thing that will pop in your mind. Possibly closely followed by Manchester, Liverpool, and then perhaps York. It’s only fair, after all. With their historical, musical, architectural, and artistic legacy, these English cities have the cool factor that you simply cannot resist. Yet, to see and feel England’s many facets (just like with any other country indeed), the best you can do is to travel beyond the limits of its largest cities and experience life in the smaller English towns with their traditional pubs, proper fish and chips shops, quirky boutiques, high streets adorned with baskets overflowing with flowers in bloom, and more unique local museums and sights that you can shake a stick at. So, here I am today to give you some suggestions about where to head to in England for an authentic taste of this great land. 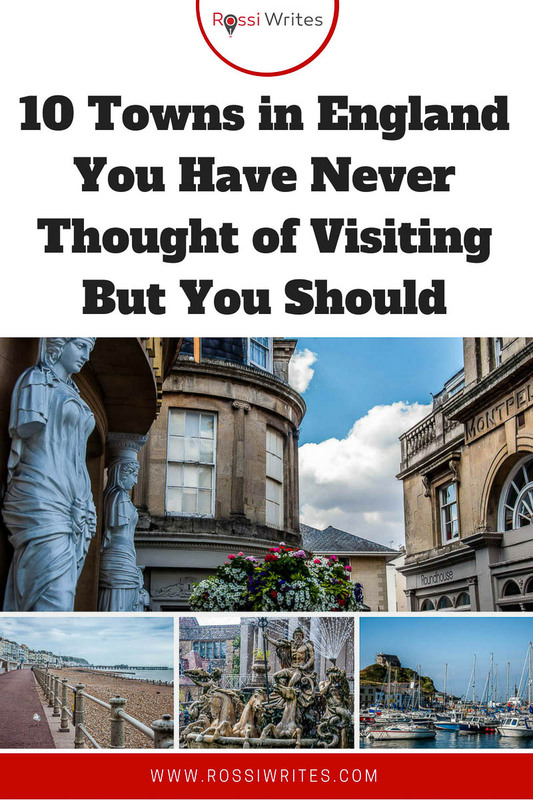 For added originality, I have included in this list only smaller and little known (beyond the confines of England) towns that are not besieged by crowds of eager tourists and where you can find some peace and quiet in between bursts of active sightseeing and beautiful views. As such, if you are looking for information on what to do in such tourist favourites as Bath, Cambridge, Oxford, and even Portsmouth, in a true English fashion I apologise that this is not the place to find it. If, on the other hand, you want to discover some truly authentic pearls that the English like to keep to themselves, keep scrolling down all the way from number one to number ten. I have placed them neatly in alphabetical order for ease of use. All of these ten towns in England have been personally visited and enjoyed by me. Hence all my tips and suggestions below are first-hand tried and tested. The Finest Example of a Regency Town in the UK – Regency being the period that preceded the Victorian era and which was noted for its architectural and societal elegance and social, political and economic changes. Cheltenham has the most complete 19th-century town plan in England and is home to 2600 listed buildings. 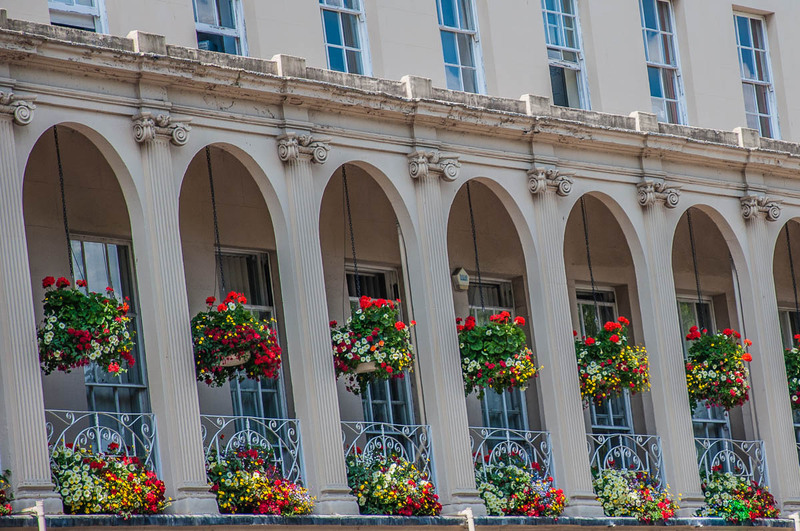 Tall terraced houses with sophisticated balconies adorned with skillfully wrought ironwork and baskets overflowing with colourful flowers in full bloom bestowed on Cheltenham a very dignified look. The high street was lively and the vast city parks full of people relaxing in the sun. This English town used to be famous as a spa center and in a bygone era, people would flock to it to take the waters. A five-week long visit by George III in 1788 elevated Cheltenham to one of the finest holiday destinations in England. Yet, nowadays, there was nothing old-fashioned about Cheltenham with its curious mixture of English elegance and continental spirit. I particularly loved seeing the so-called Caryatids – a series of sculptured female figures modeled after the famous ladies supporting the temple near the Parthenon in Athens, Greece. You will find the Cheltenham’s Caryatids supporting the facades of the chic boutiques lining up the very European sounding (and looking) Montpellier Walk in town. There are 32 Caryatids in total and 30 of them were installed there in 1840. A London sculptor called John Charles Felix Rossi created the first two in terracotta following the French fashion at the time to use Caryatids for decorative purposes. A local man – Mr. Brown – sculpted the rest in stone. In the 1970’s two more Caryatids were added to the original ones. A rich year-round event programme: horse racing, music festivals, Christmas markets. Travel Time by Train/Coach: London to Cheltenham – from 2 h 7 mins. Birmingham to Cheltenham – from 38 mins. 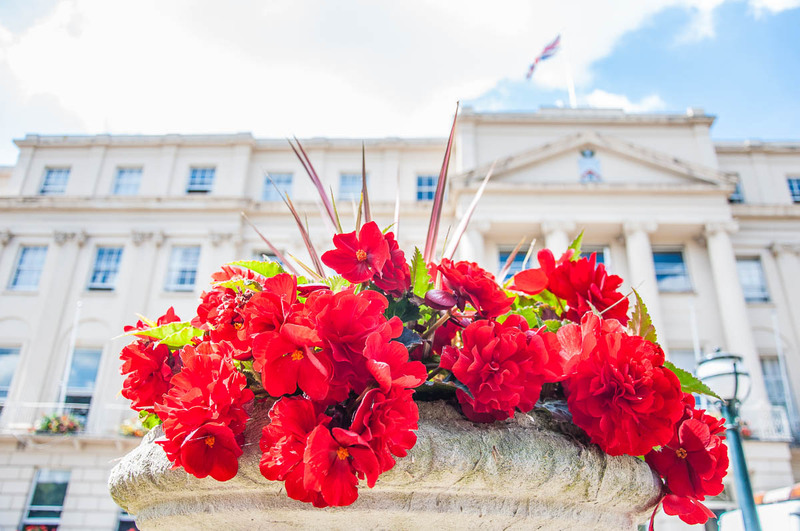 Perfect for: An elegant day trip if you love shopping, cafe culture, green spaces and stunning architecture. Colchester was the destination of one of the very first day trips I took in England back at the start of the noughties. It was a great girls’ day out where we explored the town’s parks, shopping streets, and Norman castle. A traditional pub lunch rounded off with a glass of Baileys was the highlight of our day. Since then I have had a soft spot for Colchester and even looked into moving there when I was researching good places to live in England outside of London. I ended up in Kent, yet let’s focus on Colchester here. The first city and capital of Roman Britain (take that, Londinium!) – and was renamed Colonia Claudia after the Roman emperor Claudius conquered the local Celtic tribe. Colchester is also famous as the hot spot of Boudica’s uprising against the Romans. Boudica (known also as Boudicea) was the warrior queen of the Celtic Iceni tribe who revolted against the Roman occupation of their lands. The queen’s troops sacked and burned Colchester to the ground before advancing to London where they did the same. Nowadays, Colchester is a very peaceful place with beautiful views of the river Colne. Don’t miss the atmospheric 17th-century cottages on the shores of the river as you walk into town from the train station. Yet, don’t be fooled by Colchester’s slightly sleepy atmosphere. For the town has a richly layered history (Roman treasures keep being unearthed in the town) and it deserves a day to be explored in depth. 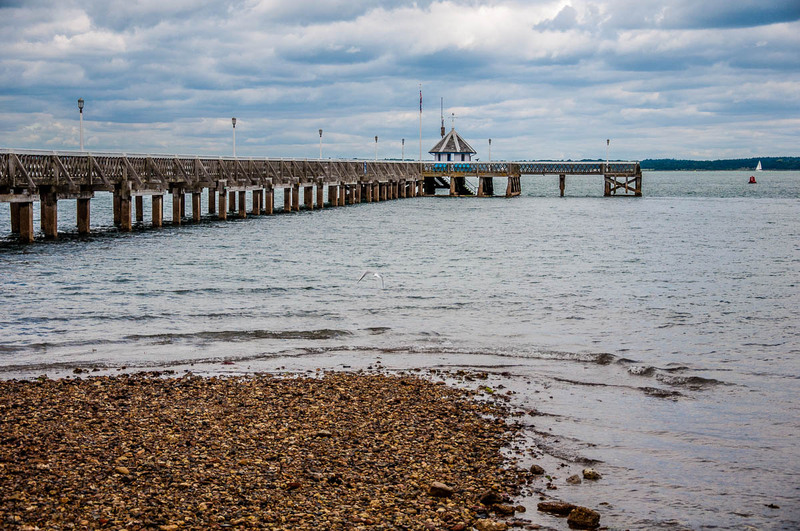 plus several nearby places of interest (like the lovely Mersea Island) allowing you to take a full day or a half-day trip from Colchester if you are spending more than a day there. Travel Time by Train/Coach: London to Colchester – from 1 h.
Perfect for: A nice day trip if you love history, Roman ruins, castles, contemporary art, and shopping. First, the town is really pretty with its charming streets and old buildings. Second, this is where one of England’s finest Universities is located so Durham has a real young spirit in addition to its centuries-old history. 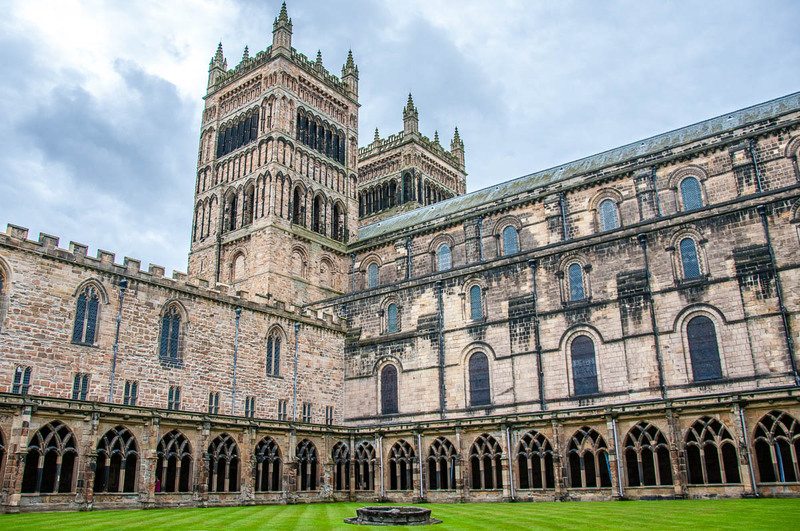 Third, in Durham, you will find one of England’s most impressive Cathedrals – a place of veneration of St. Cuthbert. Durham Cathedral sits on top of a high wooded promontory overlooking the meanders of the river Wear. Together with Durham Castle, Durham Cathedral is part of Durham World Heritage Site since 1986. Most importantly, Durham is where two of my husband’s oldest friends have been living for the past ten years. They are two of the most positive, exciting people to be around and I love spending time in their company. Even if you don’t have friends in town, don’t miss Durham. Beautiful river views, excellent eateries, lively coffee houses (where students get together to study), great museums, lovely walks, and some impressive architecture are guaranteed to capture your imagination. I particularly love revisiting Durham’s Cathedral – each time discovering for myself yet another little (or great) detail I have missed during my previous visit. Tombs of St. Cuthbert and the Venerable Bede – inside Durham Cathedral which was originally built in 1093 to house the Shrine of St. Cuthbert of Lindisfarne. Durham Museum and Heritage Centre – telling the story of Durham from the 10th century to present times. Durham Victorian Market Hall – a covered market in a restored Victorian building. You will find it in the heart of the town. It is home to over 50 independent traders. Finchale Priory – see the staggering ruins of a 13th-century priory. Intriguingly, it was found on the site of a retired pirates’ hermitage. Finchale Priory also served as a holiday retreat for the monks of Durham Cathedral. Travel Time by Train/Coach: London to Durham – from 2 h 39 mins. York to Durham – from 42 mins. Perfect for: An inspiring day trip if you love history, cobbled streets, visiting religious sites, and Harry Potter. From Brighton to Bournemouth, there are a lot of seaside towns in England. Yet, none is more special to me than Hastings. Popular with the locals, yet keeping away from the crazy crowds besieging Brighton, Hastings was our seaside escape when we lived in Kent prior to moving to Italy. With its stunning sea views, houses tumbling down steep slopes, many fishing boats, and multiple kiosks selling colourful ice creams, Hastings always had a slightly Italianate feel to me. But, with its traditional fish and chip shops, lively pubs, surfing culture, and suncream-slapped people on the beach the town is as English as they come. Old Town – a very picturesque place with beautiful half-timbered houses and quirky boutiques. 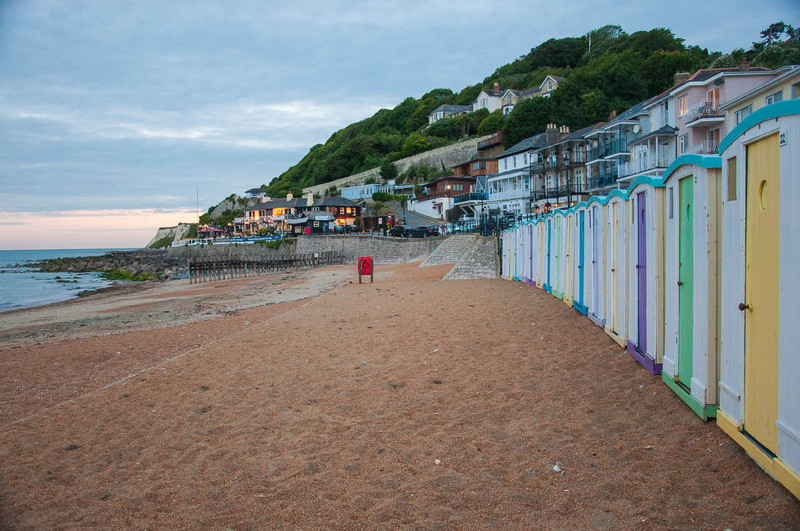 This is where you will also find Hastings’ traditional fishing net huts – tall, narrow, coloured in black, and very evocative. Town Centre – the modern part with shops and contemporary buildings. St. Leonards-on-Sea – which has been part of Hastings since the 19th century yet it has kept its own identity thanks to the elegant architecture of James Burton – the most successful property developer of Regency and Georgian London. On our visits to Hastings, I loved exploring everything the town has to offer. From its Sea Aquarium where I saw shark egg cases for the first time. To the ruined Hastings Castle, the construction of which was depicted in the Bayeux Tapestry. My husband’s most favourite thing in Hastings were the St. Clements Caves – a series of underground rooms that had been a smugglers’ den. Most importantly, Hastings is in the heart of the Historic 1066 Country – a reference to the bloody battle which saw William the Conqueror assume control of England in 1066. If you love history, you will be in your element. 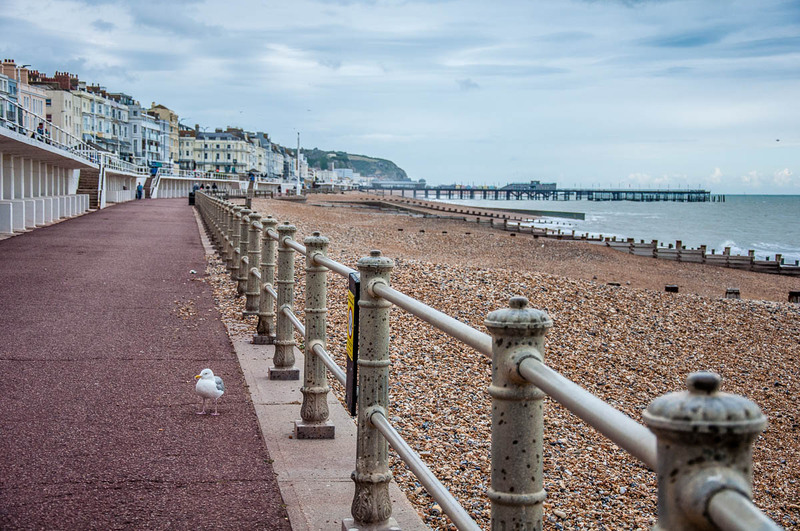 Sea Promenade – taking you from Hastings’ Old Town into its modern part and all the way to St. Leonards-on-Sea. Expect sprawling beach and sea views and a direct access to the most exciting places in town. 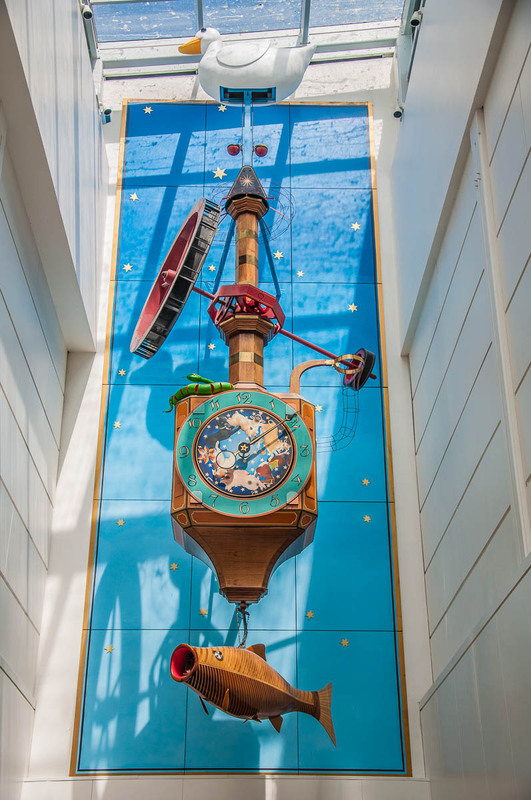 Shipwreck Museum and Fishermen’s Museum – explore local fishing traditions and the stories of sunken ships. Fishing Market – check the catch of the day caught in an environmentally friendly way. Jerwood Gallery – a new art gallery with a collection of 20th- and 21st-century British art never before seen by the public. Travel Time by Train/Coach: London to Hastings – from 1 h 22 mins. 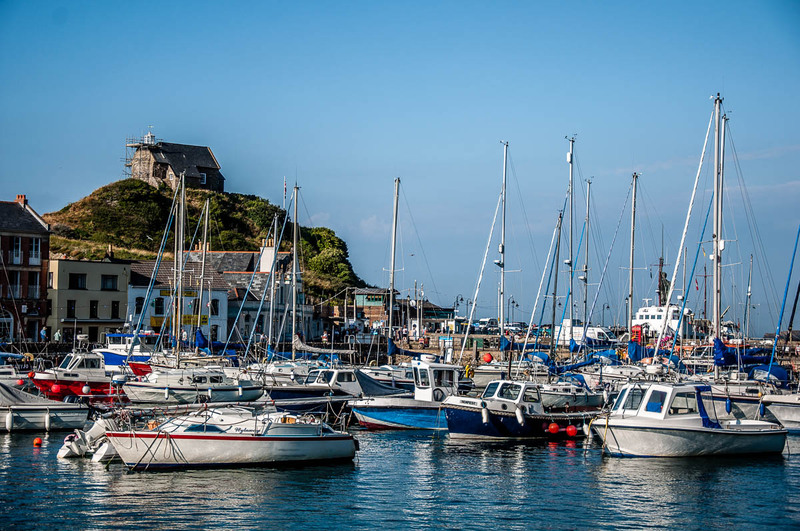 Perfect for: An energising day trip if you love the sea, beaches, history, smuggling stories, sprawling views, half-timbered houses, and fish and chips. Ilfracombe was a new discovery for me this summer and I hasten to share it with you. This charming seaside resort town is in North Devon – a beautiful area in the South West of England known for its dramatic cliffs and ancient history. Ilfracombe’s houses cling on the steep slopes that surround the town and drop all the way down to its picturesque harbour. It’s curious to note that Ilfracombe harbour has the second largest tidal range in the world. This means that boats moored in it literally lie down on the wet sand when the waters recede. 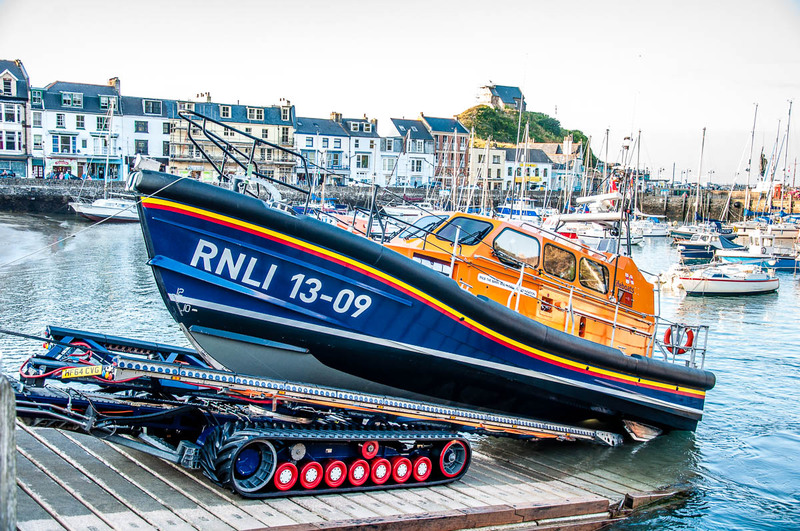 In fact, in the evening, we saw a rather captivating scene – the local RNLI lifeboat being taken out of water with the help of a huge tractor and a trailer and then being hand washed by its crew as leaving the boat in the harbour overnight would mean that it would get stranded in the sand. Add to this the cute little shops selling sea-themed arts and crafts, the multiple flavours of ice cream served with a huge dollop of Devon cream, and the Union Jack bunting adorning the terrace of the local hotels, and I was in love. The one thing I wasn’t in love in Ilfracombe though was the huge seagull which stole a piece of my fish from my fish and chips portion that I held in my hands. Yes, he was this bold. After the same seagull attacked my husband and (unsuccessfully!) tried to steal more fish from his mouth, we abandoned our idea of sitting outside on the promenade, bought a new portion of fish and chips for me and took refuge in the dining room of the fish and chip shop. So, you’ve been warned! Damien Hirst’s Statue of Verity – I must admit I didn’t love this 20 meters (66 feet) tall statue on the entrance of Ilfracombe harbour. It represents a pregnant woman half of whom has her skin peeled back to expose her bones and inner organs. I found it a bit spooky, to be honest, too brutal to be beautiful. Apparently, the posture of the statue mimics that of the Edgar Degas’ Little Dancer of Fourteen Years – a work of art I have always found a bit disturbing. Obviously, I know nothing about art so, please, see it for yourself in order to form an opinion. Called Verity, the Ilfracombe harbour statue is created by the famous artist Damien Hirst and will be at her current spot for 20 years in total (it was placed there on 16th October 2012). Ilfracombe Museum – eight rooms with a fascinating and eclectic collection including artifacts pertaining to Ilfracombe’s seafaring past. Travel Time by Train/Coach: London to Ilfracombe – from 5 h 10 mins. Bristol to Ilfracombe – from 3 h 16 mins. Exeter to Ilfracombe – from 2 h 4 mins. Perfect for: A great short break if you love the sea, sea harbours, fishing, mysterious islands, lots of ice cream, and fish and chips. Now, you may have never heard of Knaresborough (or be sure how exactly to pronounce its name) but there is a very famous prophecy that states that when Knaresborough Viaduct falls three times the end of the world will imminently follow. For your information, the viaduct which serves as a railway bridge has already fallen twice in its existence! It’s a good thing then that its current structure (see photo above) looks quite nice and sturdy. And, by the way, Knaresborough is pronounced [nɛərzbərə]! I had a chance to spend a day in Knaresborough last summer and I fell in love with its cobbled streets, half-timbered houses, and the story of a mythical local woman known as Mother Shipton. She was born with multiple physical deformities, out of wedlock, and in a dark and damp cave next door to the so-called Petrifying Well – a stream of water with such a high content of minerals that within a matter of months it turns into stalactites objects placed in it. In spite of the hands that life dealt her, Mother Shipton made quite the name for herself as a seer and soothsayer. She was England’s answer to France’s Nostradamus and to her we owe the above prediction about the end of the world. People would travel from near and far to see Mother Shipton. After her death, her cave retained its mysterious pull over people’s imaginations and together with the adjacent Petrifying Well became one of England’s oldest entrance fee-charging visitors’ attractions. 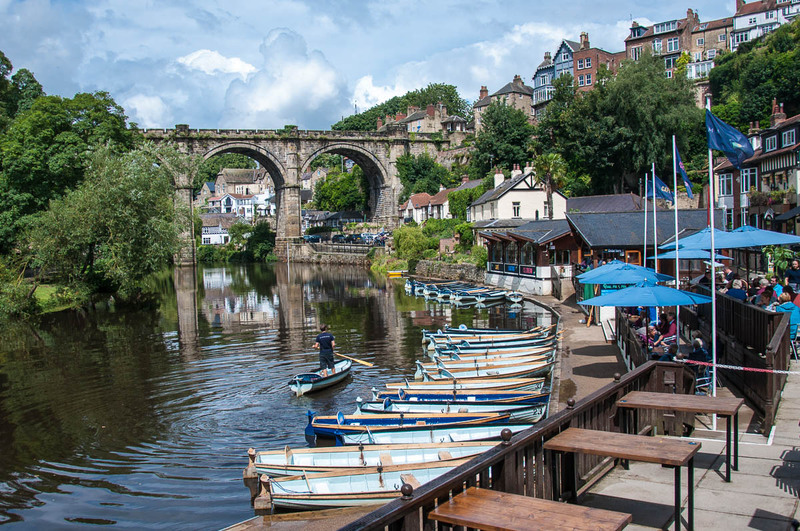 River Nidd Waterside Walk – dotted with picturesque pubs and eateries and crowned by the impressive body of the Knaresborough Viaduct, the river Nidd waterside walk gives you a pleasant chance to see some of the best views that the town has to offer. Travel Time by Train/Coach: London to Knaresborough – from 2 h 40 mins. York to Knaresborough – from 32 mins. Perfect for: A nice day trip if you love history, alternative historical figures, cobbled streets, and castles. Rochester is all your dreams of historic English towns come true. Here you will find both Roman and Norman heritage, as well as atmospheric half-timbered houses, a ruined castle, a majestic cathedral, a cobbled high street and regularly held events which recreate centuries-old traditions. It’s no wonder then Rochester in Kent, South East England inspired the quill of one of the most famous English writers – Charles Dickens. His books contain direct references to many real-life people and places in and around Rochester. Nowadays, the town keeps the Dickensian spirit alive. Local shops and cafes are named after famous Dickensian characters and books. A Dickens festival and other such events take place every year. Plus, when you are in town, you can see the chalet in which Dickens penned several of his books. It is huddled in a cute small garden just off the high street. I love Rochester and was lucky to live on its border with the nearby town of Chatham for two years prior to our move to Italy. A stroll down its picturesque high street never lost its charm. 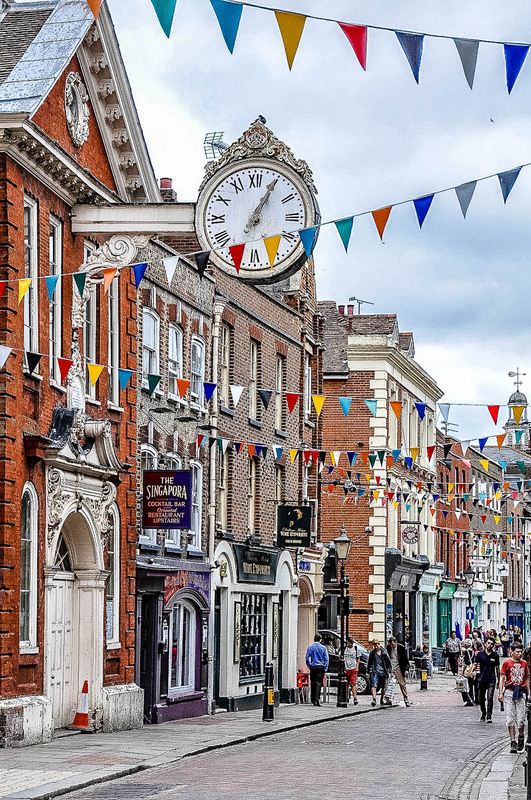 Rochester is just over half an hour from London on the speedy train, so don’t miss your chance to spend an exciting day exploring the town and its surroundings. Click here and here to find out full details how to do this and what exactly to see. A much shorter list is provided below. Free festivals and events taking place all through the year – Sweeps, Dickensian events, open-air concerts at Rochester Castle, Christmas markets, and farmers’ markets being the most famous ones. Travel Time by Train/Coach: London to Rochester – from 37 mins. 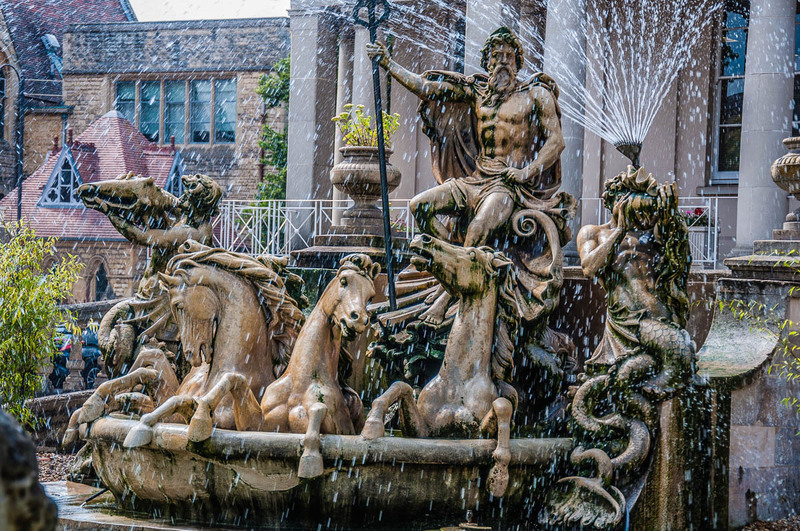 Perfect for: An unforgettable day trip if you love history, cobbled streets, Classical English literature, castles, wonderful coffee shops, and whimsically artistic boutiques. The Isle of Wight is a tiny island just off the South coast of England. Every year it attracts dozens of thousands of people with its Victorian charm, lush greenery, and whimsical sights. Ventnor is one of the main towns on the Isle of Wight. 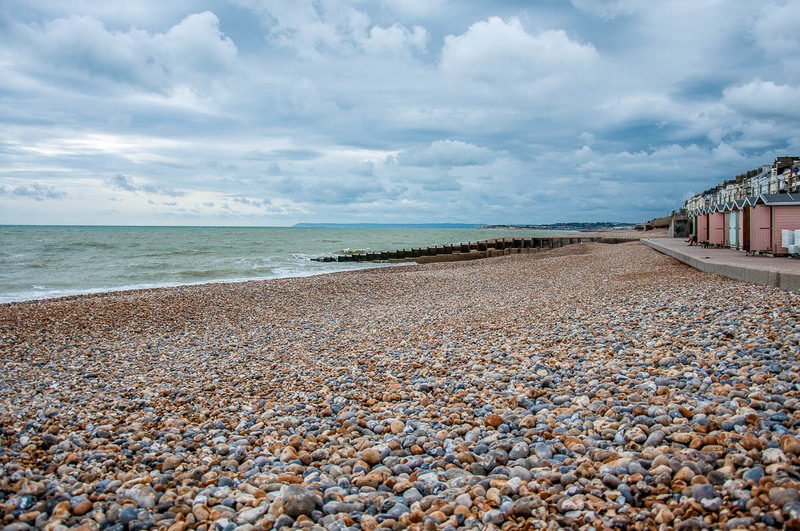 With its beaches, seafront promenade, vintage beach huts, old pubs, and bay windows, it is a picture to behold. Head to Ventnor if you are looking to experience traditional English seaside charm. I have had the chance to visit this lovely town many times over the last few years and there is always something left to discover during my next visit there. the annual Ventnor Boxing Day Swim – when hundreds of people take a swim in the cold sea waters off Ventnor beach the day after Christmas. It is all done for charity and it is great fun. When you are planning your visit to England, consider spending a couple of days or more on the Isle of Wight. Picking Ventnor as your base will give you easy access both to the beach and dozens of great local sights. Not to mention, lots and lots and fabulous fresh seafood! and as the Isle of Wight is small and dotted with hundreds of points of interest, use the island’s public transport system and/or hire a car and explore the nearby towns and villages like Shanklin, Godshill, and Sandown to mention but a few. Travel Time by Train/Coach/Ferry: London to Ventnor – from 3 h 29 mins. Portsmouth to Ventnor – from 2 h. Southampton to Ventnor – from 2 h 22mins. Perfect for: A lovely weekend break if you love spending time on the beach, island life, Victorian grandeur, whimsical local sights, and fresh seafood. I love Whitstable. With its working fishing harbour, spacious beaches, fish market, and some of the world’s best seafood restaurants, for me Whitstable is the greatest seaside town in England. With its location on the English Channel, it also affords you fabulous views over the big blue expanse of water and on clear days you feel like you can just about glimpse France on the other side (see Ella’s comment below). Whitstable was my first day trip from London with my then boyfriend and now husband and the town to which we took our respective parents for a meal to remember several years afterward. On both occasions, we had a meal to remember at Wheelers Oyster Bar – an over 160 years old seafood restaurant and a local institution. Don’t miss it when you are in Whitstable. Get a seafood picnic from Wheelers and claim a spot on the beach. Be adventurous and apart from oysters, ask for such English staples as cockles, whelks, winkles, and crab. I must admit that I find the whelks a bit chewy, yet give them a try. You never know, you may find a new favourite food! The crab meat sandwiches are outstanding. Then go for a leisurely walk taking in the hubbub of the fish market, the elegant outlines of the traditional fishing huts, and the arts and crafts for sale in the local boutiques. In the evening, see the low tide and be amazed by the water’s retreat and how much of the seabed actually gets exposed. This is when you can take a walk on the so-called Street – a strip of land that shows up when the waters pull back. Oyster Bay Trail – a seven-mile trail from Swalecliffe (just outside Whitstable) to Reculver where you can see the ruins of a Christian chapel which was built on top of a former Roman fort. Travel Time by Train/Coach: London to Whitstable – from 1 h 12 mins. 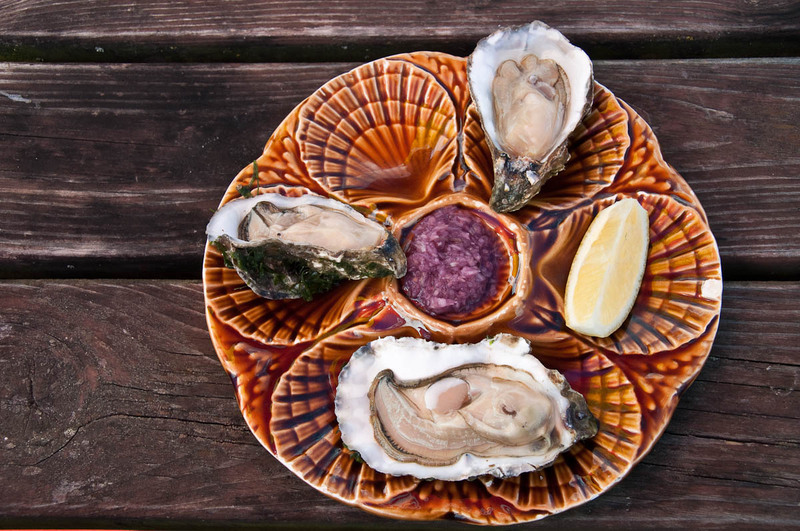 Perfect for: A nice day trip if you love beaches, oysters, fresh seafood, fish markets, and are looking to experience the charm of the English seaside. I fell in love with Yarmouth the first time that I clapped my eyes on it last summer. 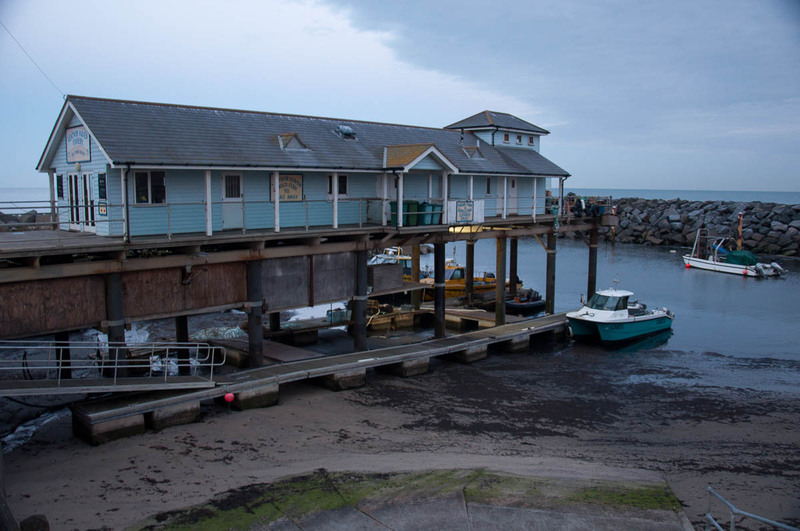 Seduced by its quirky houses, sprawling sea views, and centuries-old history I caught myself imagining living there and going for an energising walk each morning on its long pier. Which, by the way, is England’s last surviving fully wooden pier. With a castle, ferry dock, narrow streets, quaint cafes, intimate restaurants, and a 17th-century church, Yarmouth is picture perfect. Plus the town is surrounded by an area of outstanding natural beauty. The scenery is wonderful and interspersed with cliffs and sandy beaches. Just a short drive away from Yarmouth you will find several other towns and villages on the Isle of Wight which are worth exploring. Drive down to Alum Bay to admire the multi-coloured sand cliffs, the local glassworks, and the stunning Needles. Head to Newport to explore Carisbrooke Castle – an English Heritage property – which at different stages of its existence served as an Elizabethan artillery fortress, a king’s prison, and a royal summer residence. Or spend half a day exploring Osborne House – a close to two centuries old stunning summer residence built for Queen Victoria and Prince Albert. A visit to the nearby Quarr Abbey – a Benedictine monastery – will give you a chance to feel calm and peaceful in the silence that reigns among its solemn buildings. Yarmouth Harbour – admire the yachts and the fishing boats. Watch the ferry arrive from and leave for the mainland. visit nearby Brighstone for its thatched cottages and Mottistone Gardens. Travel Time by Train/Coach/Ferry: London to Yarmouth – from 2 h 37 mins. Portsmouth to Yarmouth – from 2 h 2 mins. Lymington to Yarmouth – from 1 h 3 mins. Perfect for: An unmissable weekend break if you love history, the Victorians, harbour towns, sprawling sea views, quirky cafes, and castles. So these are the smaller and little known outside of England ten English towns you have never thought of visiting but you should. I hope you enjoyed my recommendations. Let me know what you thought of each of these towns in England when you tick them off your list! Rossi..nice choices of towns…but visit Chester..and visit Ludlow… lovely places. Thank you for the recommendations! I will add them to my bucket list for this year’s visit to England. Rossi, thanks for this, and especially for the reminder to visit Knaresborough. When on business in the north of England I travelled on a train passing through the town back in the 1990s and was astonished, when passing over the viaduct, at how a picturesque place could possibly have escpaed the attention of us Brits! I made a vow to come back as a tourist and never have done. Time to plan a trip up there! Thank you for your kind words and for stopping by. Knaresborough, really, is charming. Have a great time exploring the town and the area. 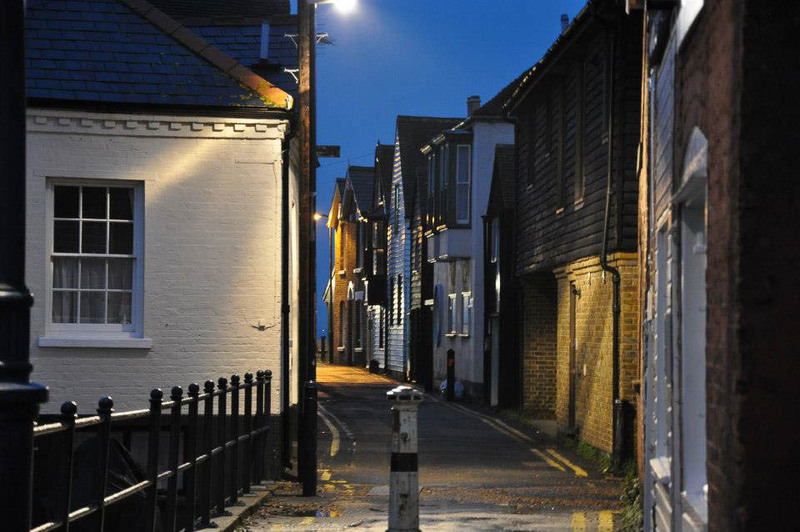 Hiya, I was just reading your review on Whitstable, I visited a lot as a child, and I absolutely love the town. But I think you might be wrong when you say you can see France, as it is in North Kent, and from the coast you can only see Essex. I do love your recommendations for other towns in England though, and definitely want to visit them now! I know how you feel, I thought for years that it was France, only for my parents to correct me one year! It really is a beautiful beach though, and I’m so glad it left a good impression on you! Hi Rossi – thank you for the interesting list and great descriptions. Many of these towns are close to large cities, too, so would be perfect for day trips away from the tourist track. Yes, I absolutely agree with you Jay. I have provided travel times for each of the ten towns above from the nearest large cities so that people can easily plan for a day trip.